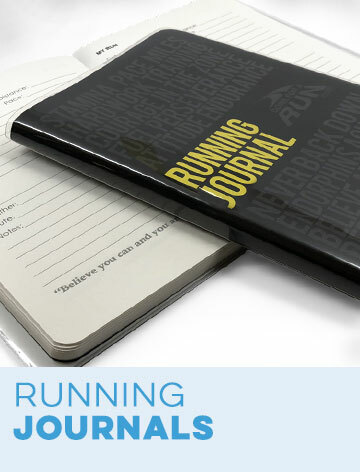 Socks are an important part of a runner's gear. Your feet take a pounding and should be given the best in support and protection. These Yackety Yak knee-high socks for runners supply that protection for your feet and lower legs. 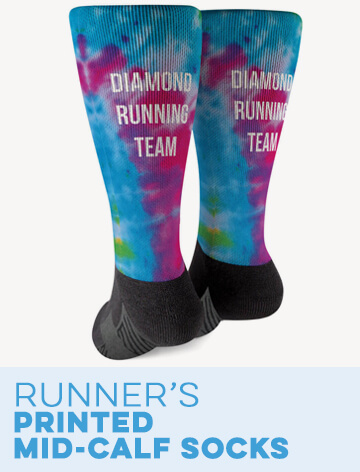 Our whimsically themed socks also bring humor and fun along on the run. Made from a fabric blend that features the ever popular and highly recommended property of moisture wicking, these socks help your feet stay comfortable and healthy. 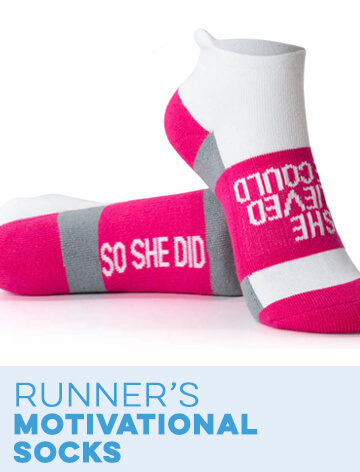 These performance-enhancing runner's socks are made with fun graphics and phrases for the world to enjoy. 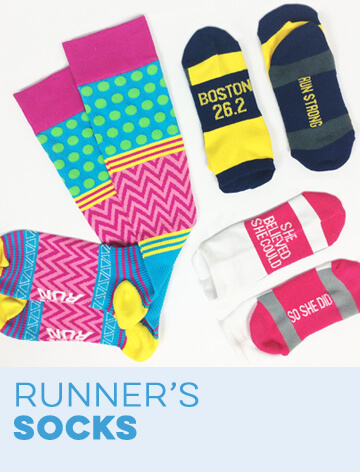 Bring a smile and some sunshine to anyone you run past with these brightly colored, playful knee socks. 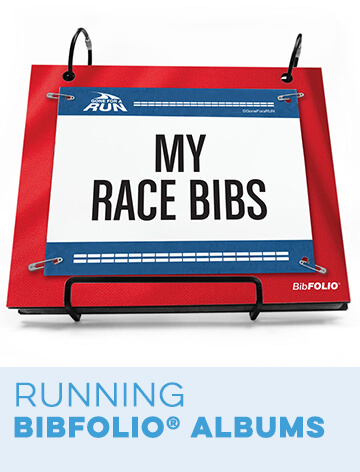 Socks serve important functions for runners. Socks are the protective layer between feet and shoes to minimize motion friction that rubs skin raw and causes blisters. Knee-high socks add further protection to lower legs by defending against scratches and dirt. 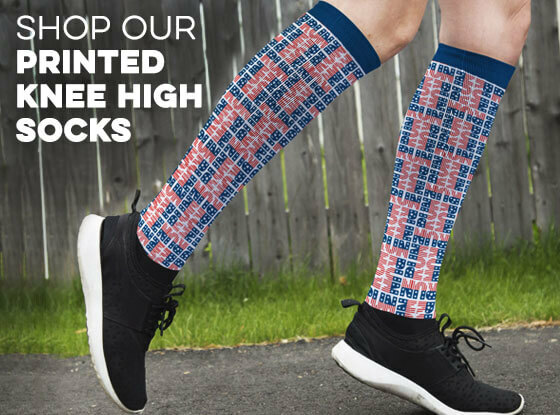 These long socks also provide some warmth and give runners an opportunity to wear shorts longer into the fall season as temperatures begin to cool. Add to this the moisture-wicking properties of these socks for the ultimate in comfort. Moisture-wicking knit draws moisture away from your skin to help you feel dry and fresh. 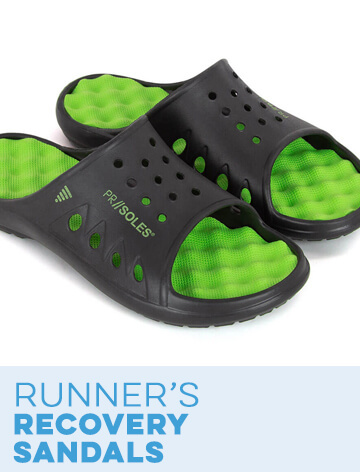 Less moisture also means fewer blisters, greater comfort and reduced odor. 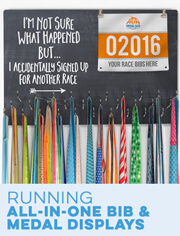 Bring smiles as your run with “Will Run For Beer” or “Run Now Gobble Later” or with our shark attack graphic. 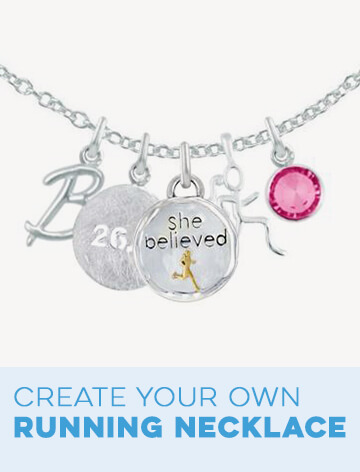 Show you are a superstar during the race with “26.2 Super Runner” or “You Just Got Chicked”. You will also find our ever-popular Christmas knee-high socks and skeleton socks. 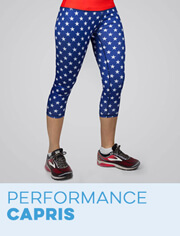 There are also many other fun seasonal and holiday themed patterns including patriotic flag stripes, Halloween jack-o-lanterns and ghosts, lucky clovers, shamrocks, autumn stripes and more. 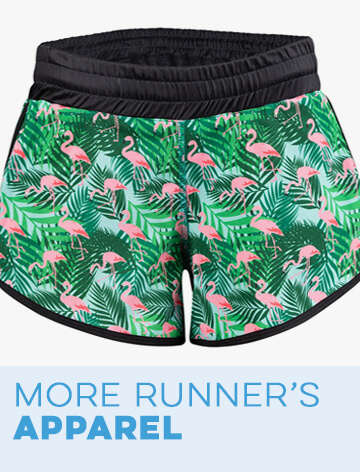 With these vibrant colors and fun patterns, you'll easily be able to bring fun to your run or give the gift of a fun run to another.